This text aims to increase student awareness of each aspect of a physically fit lifestyle and provides information for healthy behavioral change. 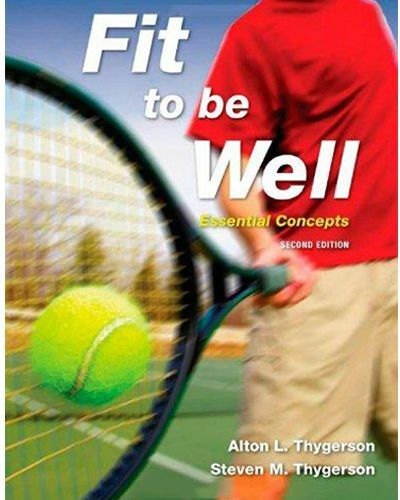 Fit to be well: essential concepts offers simple, workable approaches for being healthy and fit that can easily be added into the lifestyle and schedule of a student. Throughout each chapter there are easy to follow guidelines for: modifying lifestyle behaviors, increasing self-esteem and creating a more positive self-image, eating a balanced and nutritional diet, keeping body composition and weight at a healthy level, improving physical endurance, strength, and flexibility, and managing stress. By adding self-assessments and related labs to each of the chapters, this text becomes an interactive guide to building and implementing a fitness program that will work with individual needs and schedules.